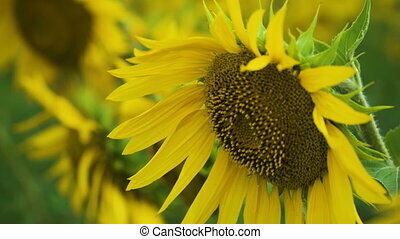 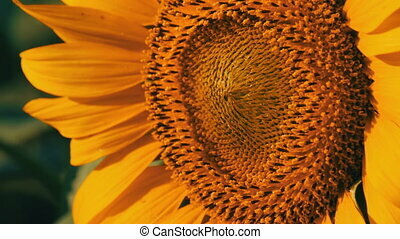 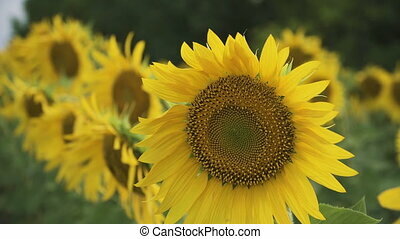 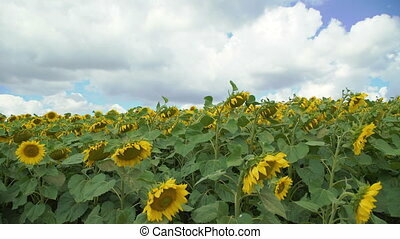 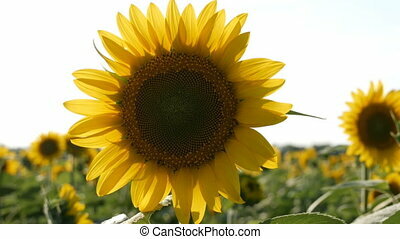 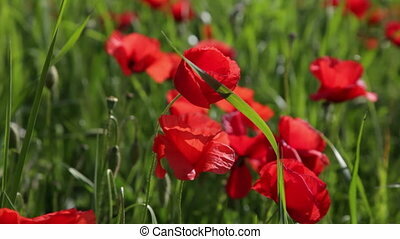 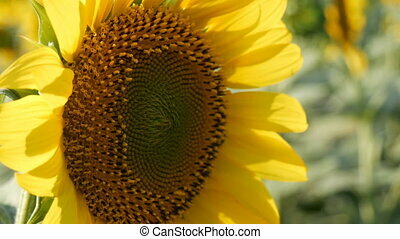 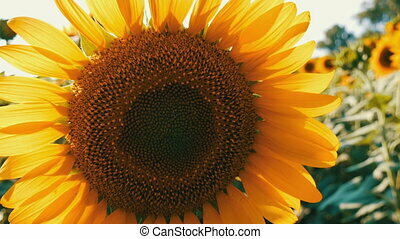 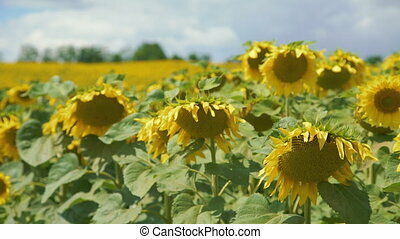 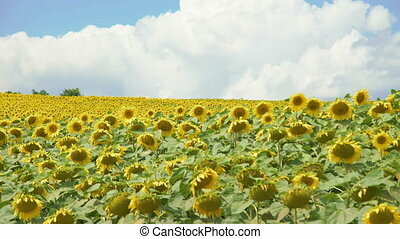 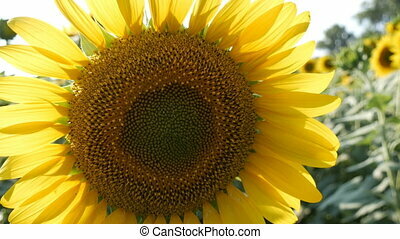 Big blossoming sunflowers in the field close up. 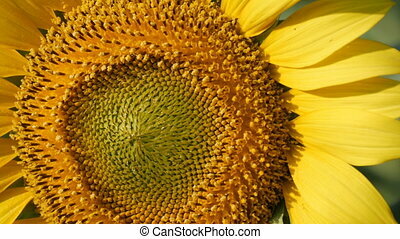 Close up of a big moving sunflowers field in 4K. 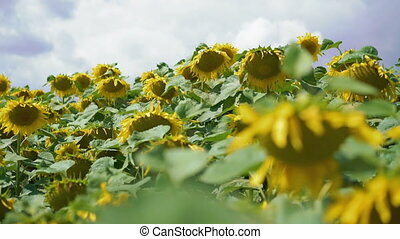 Sunflowers in a summer field close-up. 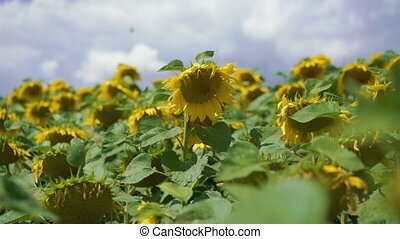 Close up of a big moving sunflowers field moves on the wind in 4K.